The £50 million Town Centre Fund, set up by the Scottish Government in partnership with local government representative COSLA, will allow councils across Scotland to spend the money as they see fit to “keep life” in town centres. Fife will receive the biggest amount of any area in Scotland with towns such as Kirkcaldy, Dunfermline, St Andrews and Leven all sharing £4.33 million. Dundee’s town centre is to be given £735,000, Angus £1.08 million, and Perthshire £1.98 million. Lynne Short, Dundee City Council’s City Development Convener, said plans for the cash have not yet been laid out but stressed the importance of prudent spending. She said: “I think it is important that any changes are done with the people, be it business, resident, student, visitor. Deputy First Minister and Perthshire North MP John Swinney called on Tory-led Perth and Kinross Council to make the most of its funding allocation. He said: “This funding announcement can help transform town centres in Perth and Kinross, such as Pitlochry, Blairgowrie and Aberfeldy. “Perth and Kinross Council must now ensure that the £1.98m is spent wisely, and ensure that our local town centres reap the benefits of this huge investment. The money will fund a wide range of investments which are expected to make town centres more vibrant, enterprising, and accessible. Angus Council leader David Fairweather said the authority is “already looking” at ways to use the cash. He added: “In our budget, we also earmarked £4.5m for Tay Cities Deal projects, so it may be that we can leverage more money into this fund and increase the potential benefits. “I aim to see each burgh in Angus benefiting from this cash, but this will be balanced against areas of greatest need, what will provide the maximum positive impact for our communities and the spending criteria that comes with the cash. 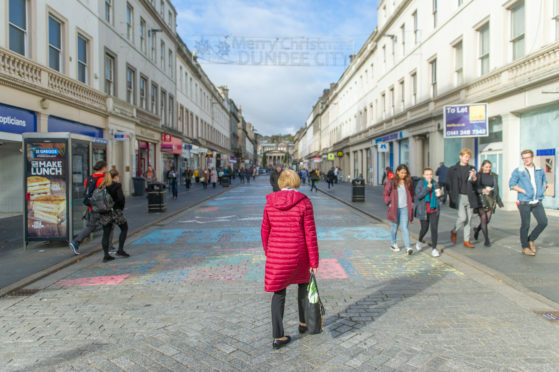 David Lonsdale, director of the Scottish Retail Consortium, described the boost as a “promising and timely move” which will “enhance the economic viability” of town centres. Scottish Government Economy Secretary Derek Mackay said at the launch of the fund: “Town centres are facing challenges across Scotland in adapting to a changing retail climate, and it is important that we help them to diversify and adjust to overcome these challenges.